Comfort Zone is a free bereavement camp for children who have experienced the death of a parent, sibling or primary caregiver. It includes confidence-building programs and age-based support groups that work to break down the emotional isolation that grief often brings. The camps are offered to children ages 5-2, and are held year-round across the United States. 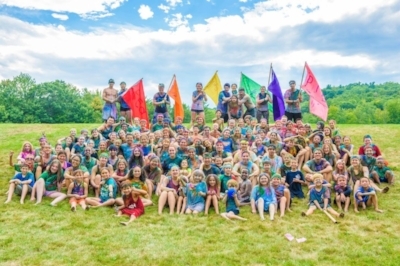 Camp Erin® Boston is a FREE weekend overnight camp for children and teens ages 6 through 17 who have experienced the death of someone close to them. This three day two night experience is filled with traditional and fun camp activities combined with grief education and emotional support facilitated by grief professionals and trained volunteers. EmpowerHER supports young girls who have experienced the early loss of their mothers. By creating enhanced experiences surrounding our events, we instill confidence and reduce isolation through a community of sisterhood that offers hope to each of the girls we serve. Relay for Life is a team fundraising event where team members take turns walking around a track or designated path. Each event is 6-24 hours in length and each team is asked to have a member on the track at all times to signify that cancer never sleeps.